With A Tangled Skein: We have a winner!!
. . . . . .Where all of the crafty chaos comes together! 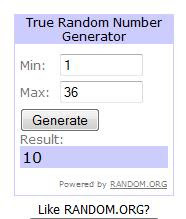 Congratulations go out to entry number 10, Robynne Savacool Cook!! You are the winner of the Original Pigtail Pal of your choice!! I will be contacting you shortly!! Thanks so much to all who entered. Let's get ready for a giveaway!